Der Blick auf den Einlass von diesem Gerät ist schöner als die Aussicht auf das Meer! 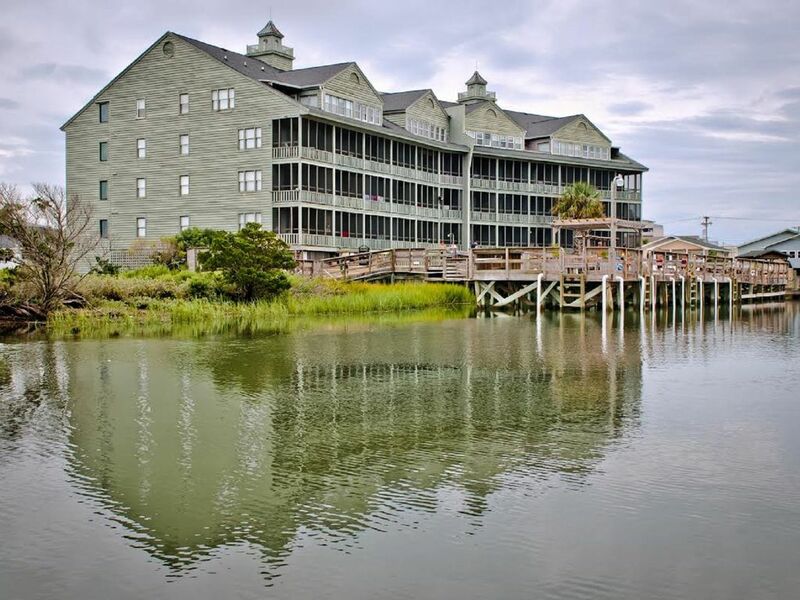 Sea Watch Inn an der Landung in Murrells Inlet, South Carolina. "Best Kept Secret". Dies ist die Ansicht der schönen Murrells Inlet aus der abgeschirmten Balkon dieser Zwei-Zimmer-Wohnung. Swackhammer ph Nr. 4128498863. FAMILIEN ODER GRUPPEN, DIE ÜBER 25 JAHRE ALT SIND, MÜSSEN NUR BEANTRAGEN. Unser Gerät verfügt über eine voll ausgestattete Küche mit Geschirrspüler, Wohnzimmer, von Wand zu Wand Teppich und Laminat sowie zentrale Klimaanlage und kostenlosem WLAN. Dieser Komplex ist nur einen Block vom Strand in Garden City Beach. Bootsanlegestelle und Rampe zur Verfügung. Restaurants, Geschäfte und Arcade in der Nähe. Ausstattung: Abgeschirmte Veranda, Grill, Pool, Geschirrspüler, Mikrowelle, Geschirr / Besteck, Waschmaschine / Trockner, komplett möbliert, Bettwäsche, Kabel-TV, kostenlosem WLAN Jacuzzi. Die Unterkunft im ersten Stock ist behindertenfreundlich. Sorry, keine Haustiere und Nichtraucher. very short walk to beach, nice pool, parking is a little tight, not much room to back up. unit was clean and neat. Glad you had a good time. It really is the nicest view of the inlet. We truly enjoyed our stay! Everyone is so friendly and the view is beautiful. We will continue to make this a vacation spot for our family! So glad you had a good time. Yes, the ladies in the office, etc. really pour on the "Southern Charm". It is really a beautiful spot and it is one of my families favorites as well. Hope to see you back again in the future. So close to everything I needed. I was able to squeeze a lot of vacation in to my time because of close access to everything. I’ll be back! So glad you had a good time. It really is close to everything and located in such a quaint family oriented area. Love to have repeat rentors. Great place to stay, close to everything! Nice clean place. Everyone was friendly and the upkeep of the building was great! Glad you had a good time. The staff at the building is truly the best ! Hope to see you back again. We love repeat renters. The condo was very nice. Close to everything. The view of the marsh was beautiful. Dawn was very easy to talk to. Glad you had a good time. Garden City is a little diamond in the rough that no one knows about. Hope to have you back in the future. So sorry you were unhappy. No room for a coffee table as sleeper sofa is used quite frequently. New furniture on order. Elevator was down for the summer and just got repaired, so we were unable to get furniture up to the unit. We try to make it inviting and will be making some changes.